Each year, more than 21 million motor vehicle accidents occur on our nation’s roadways, according to the National Safety Council. Therefore, the odds of being in at least one accident in your lifetime is extremely high. This information, prepared by the Independent Insurance Agents of America, contains helpful tips so you know what to do if you are involved in one of these unfortunate incidents. Call the police immediately to report any accident, no matter how small, which results in personal injury or vehicle damage. Notify the police as to any medical assistance that may be needed or any vehicle that is not drivable. Warn other motorists by turning on your vehicle’s flashers and setting up flares or other reflective devices starting 50 feet behind your vehicle. Signal for assistance by tying a handkerchief or anything white to the vehicle’s antenna. Do not accept responsibility or otherwise discuss the accident with anyone except police authorities and your independent insurance agent. 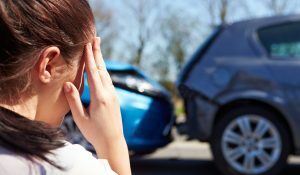 Do not accept any monetary settlement at the accident scene. Write down driver’s license number, license plate number, and state. Get the insurance company name and policy number plus make, model, year and description of vehicle. Lastly, record the name, address and telephone numbers of the driver. Write down the name and address of all passengers, injured persons or anyone with property damage. Get the name and contact information for at least two witnesses if possible. This is very important when the fault of an accident is questionable. Note time of day, weather and condition of roadway (wet, icy, dry). Take a picture of the accident scene. Show position of all vehicles before and after the accident–plus location of signs, streets and medians. Note any apparent damage to not only your vehicle but all vehicles involved in the accident. After you have taken care of everything at the scene of the accident, immediately notify your independent insurance agent. Be sure to save copies of all documents relating to the incident.